Finding fabulous clothes of great quality and price always makes us excited! 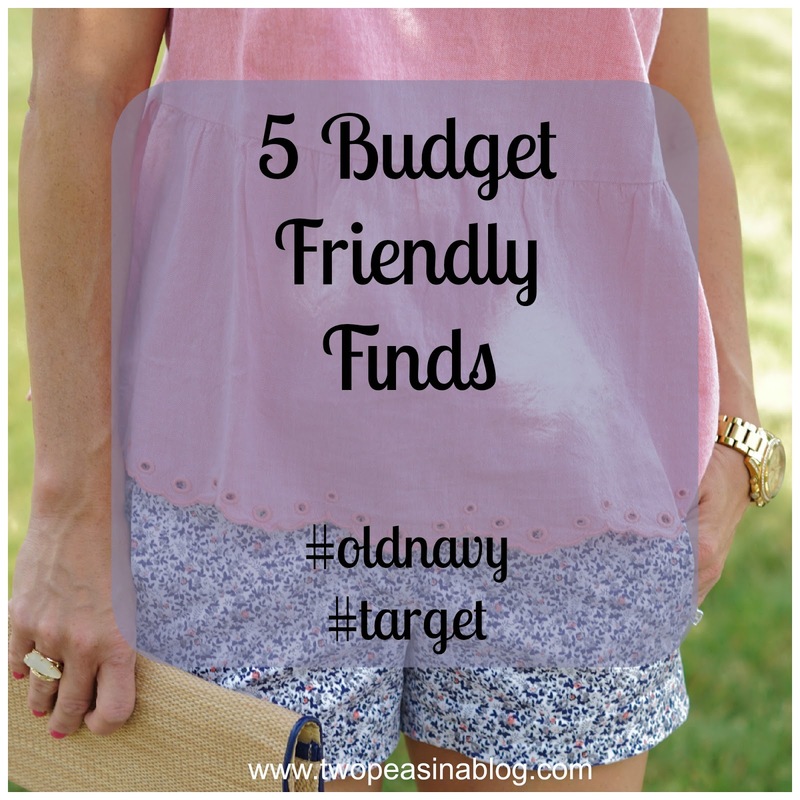 This week we decided to focus on two stores we shop at frequently: Target and Old Navy. 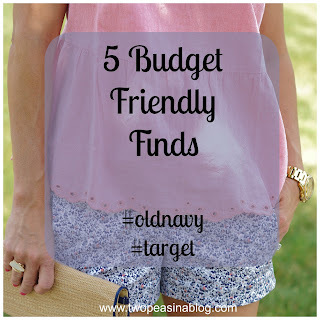 We are going to showcase 5 budget friendly pieces we found. Number 1 is this coral tank. 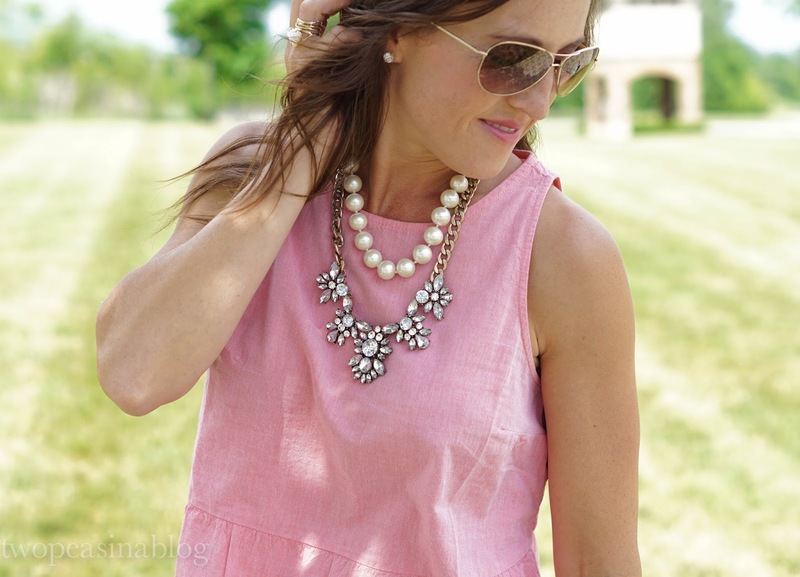 On a recent trip to Old Navy, I came across this adorable scallop-edge sleeveless tank! And combined with the peplum style - it's a win! I decided to pair it with a pair of my favorite floral shorts and dress it up with some fun sparkles for a summer evening look. A little fun fact...Betsy came up to Columbus for the weekend to attend a family wedding shower. Guess what she had packed in her large garment bag? 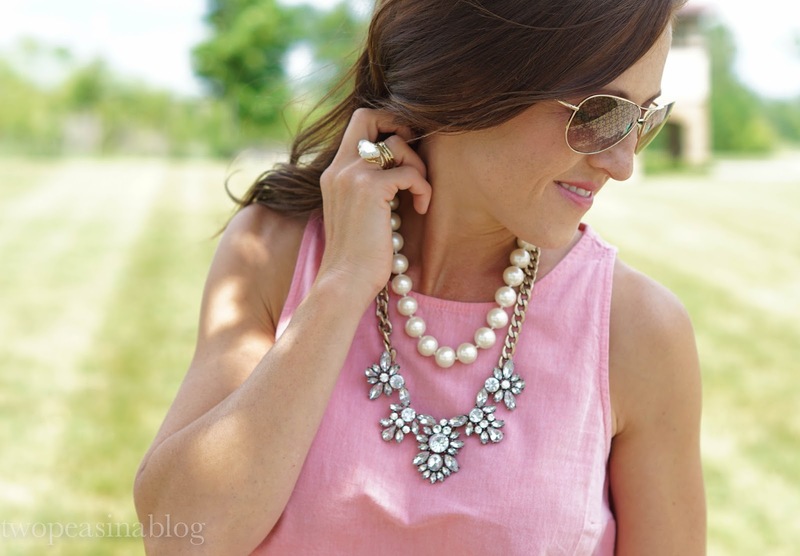 Yep - this exact tank! In the exact same color! I guess twins do think alike! I'm also loving the floral print on this tank. The low-back on this striped cami is perfect. And the plaid print on this tank is gorgeous. Check back tomorrow for find #2. Agree!! Unfortunately we are not both in Columbus. My sister is in North Carolina. But it makes for a great place to visit!! Hi. I doscovered your ladies\ blog last week and even joined your link-up. You two are adorable and have great styles. Love this outfit. 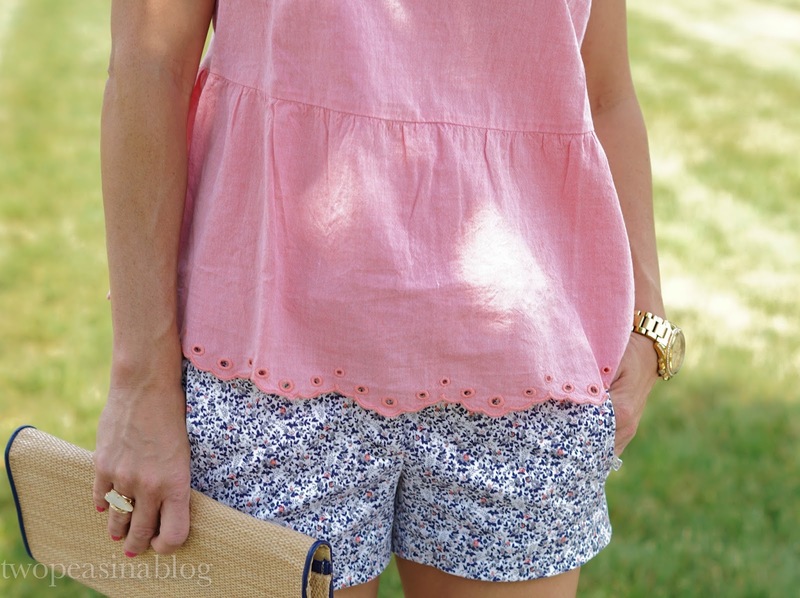 The shorts and linen camisole are both great. Some of my most favorite shorts are from Old Navy. P.S. How do I follow your blog? Oh great! So glad you joined the link party! On the right side under our instagram pictures is a place to sign up for emails. We'll visit your blog as well! Thanks for sharing these budget friendly outfit ideas. I also have to attend a birthday party in the next week at some outdoor event space San Francisco and looking for affordable party dresses. If you have any suggestions then please share!